They say a superhero movie is only as good as its villain, and it's hard to top a demonic German meglomaniac for whom the Nazis are too soft and cuddly. In "Captain America: The First Avenger," we not only meet All-American do-gooder and eventual Avenger Steve Rogers (Chris Evans), but also his nemesis, The Red Skull. Played by Hugo Weaving ("The Lord of the Rings," "The Matrix"), a man who wields his eyebrows like others wield swords, the Skull is the head of Hydra, a Nazi off-shoot sect that finds Hitler's tactics a little too quaint for their purposes. He also possesses the most bone-chilling villain accent possible - mostly because, according to Weaving, he based the Skull's accent on that of infamous film director Werner Herzog, which makes anything at least 75% more unsettling. 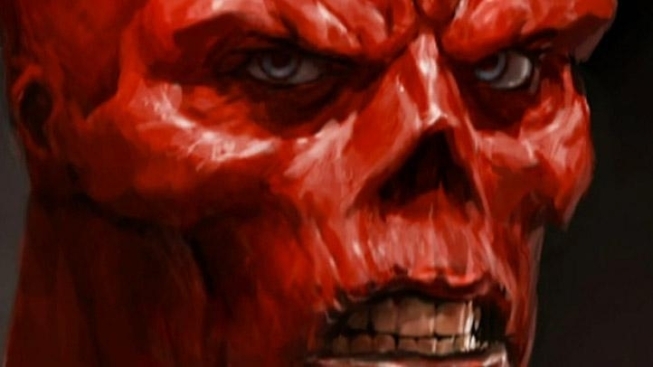 In this exclusive behind-the-scenes look from the upcoming DVD and Blu-ray's bonus features, we get a glimpse at the design work behind the Red Skull's red skull, and how it developed from the comic pages to Weaving's head. "Captain America: The First Avenger" goes Brooklyn on jack-booted thugs on DVD and Blu-ray October 25th. 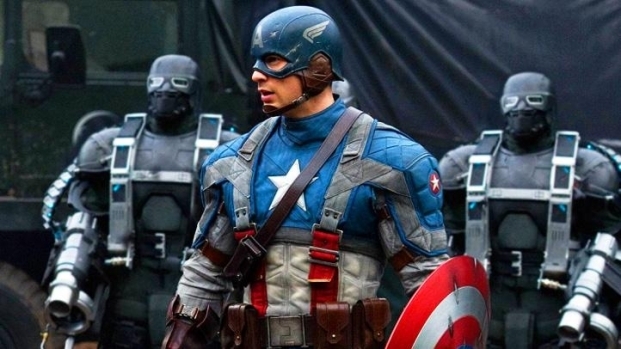 "Captain America" is an old-school thrill ride, but will it impress the comic book faithful? We took an expert to find out.